[vc_row][vc_column][vc_column_text]Cocktailing doesn’t just have to do with mixing the perfect after-work drink. This concept is alive and well in the salon industry. 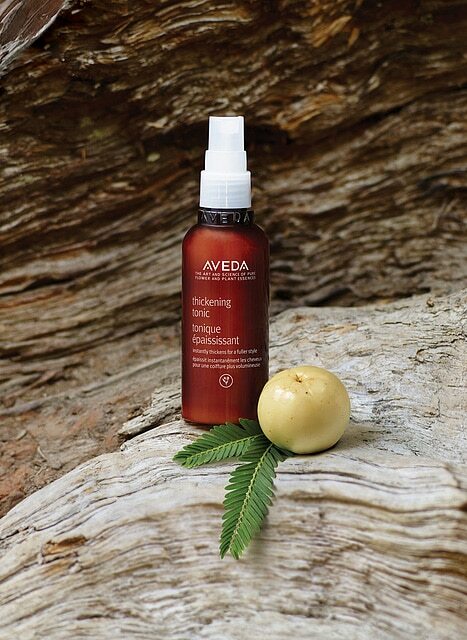 Combining the perfect styling products is an art in itself. A crucial link in constructing and maintaining the perfect cut, color and style is the products you use. Every stylist at Debony Salon has their favorite products in which they combine to create malleable hair that’s able to come together into a seamless style. 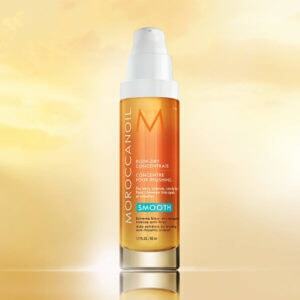 The salon partners with MoroccanOil and AVEDA to project their creativity from idea to product to (your) hair. [/vc_column_text][vc_column_text] When trying to achieve volume, Debony Salon stylists will reach for AVEDA’s ‘Thickening Tonic’ after shampooing the hair with ‘Pure Abundance’ volumizing shampoo. This shampoo helps fill out fine hair with all-natural Acacia gum and its conditioner counter-part has a lightweight kaolin clay component that doesn’t weigh hair down. For a smoother look, our Cosmetologists may rely on MoroccanOil’s Smoothing Shampoo and Conditioner, which work in harmony and build upon one another to restore depleted amino acids to strengthen hair and align its natural keratin structure. Before blow-drying, your stylist is probably excited to reach for the newest addition to our shelves; MoroccanOil Blow Dry Concentrate. This is the ultimate defense against frizzy hair and helps provide shine after your hair is dry. These are just two examples of how mixing products across different lines within AVEDA and MoroccanOil can create a harmonious relationship between you and your hair. There are hundreds of ways to mix and match products to create a style with volume, texture, curls, shine and more. Wedding Nails at Debony Salon! Join Us For A Filler Party! April Newsletter from Debony Salon! You’re Invited to Our Medi Spa Party! You’re Invited to Botox Party at Debony Salon! Debony Salon is a full service salon and spa serving the Mount Washington Valley and surrounding area.